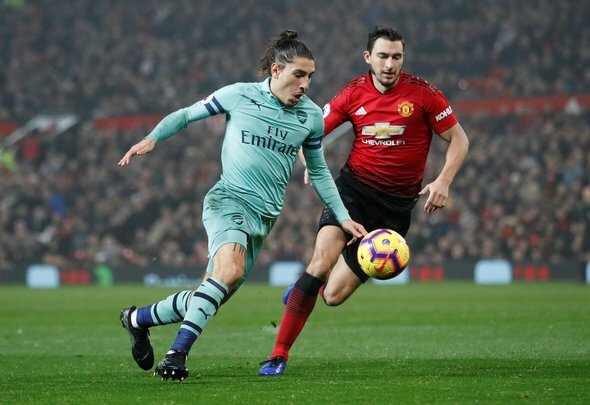 West Ham United must attempt to sign Manchester United right-back Matteo Darmian in the January transfer window with the club in dire need of reinforcements in that area. The Hammers are going to find themselves short of options sooner rather than later now that Pablo Zabaleta could potentially be retiring and Ryan Fredericks is sidelined with an injury. Zabaleta cannot be expected to play every single game at the age of 33, which is why a move for Darmian makes complete sense in the New Year. Michail Antonio deputised in that role against Cardiff City on Tuesday, which only reinforces just how painfully thin the right-back department is. Darmian could be the answer to West Ham’s full-back problems in a stunning swoop. The 29-year-old has struggled for game time in the Premier League with just three appearances under his belt, and it is safe to say that he has fallen down the pecking order behind the likes of Antonio Valencia. This means that the Italy international will be searching for first team opportunities elsewhere in a bid to get game time on a regular basis, and West Ham is the perfect place. According to the Sun, Inter Milan could offer Darmian an escape route, but it is West Ham who should capitalise on him being frozen-out – and Pellegrini can surely wow the fans with his surprise raid. He would basically be guaranteed starts considering that his only real competition is Zabaleta, and the fact that he has 57 appearances in the top-flight as well as extensive experience in Serie A only makes his case even better. The proven star earns £60,000-a-week [Spotrac] which is a wage that the Hammers would be more than capable of matching if they made the swoop.